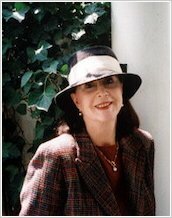 Judith Viorst was born and brought up in New Jersey, graduated from Rutgers University, moved to Greenwich Village, and has lived in Washington, D.C., since 1960, when she married Milton Viorst, a political writer. They have three sons and seven grandchildren. Viorst writes in many different areas: science books, children’s picture books, adult fiction and non-fiction, poetry for children and adults, and three musicals, which are still performed on stages around the country. She is best known for her beloved picture book, Alexander and the Terrible, Horrible, No Good, Very Bad Day.